I was actually in Park City the day I heard Anton Yelchin died. I attended Filmquest specifically so I could visit Park City during the summer, having attended so many Sundance Film Festivals. I was walking down Main Street checking my phone and stood in front of the Egyptian Theater in shock. Now Love, Antosha, the documentary about Yelchin’s life, premiered this year and it’s full of warm, touching and bittersweet memories of Yelchin. 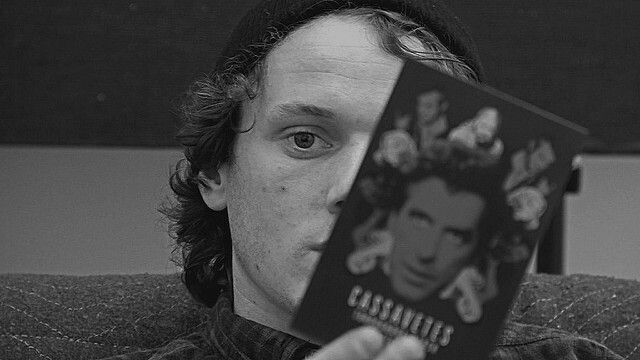 From the moment Love, Antosha opens with adorable childhood home videos of Yelchin, there’s no way you won’t love him. Antosha is the nickname his parents Irina and Victor gave him, and much of the film comes from Yelchin’s own writing to them, with his signature: Love, Antosha. Director Garret Price, with Yelchin’s Like Crazy director Drake Doremus producing, present Yelchin’s words as a living work. The words scrawl across script pages and greeting cards before our eyes as Yelchin’s Dying of the Light costar Nicolas Cage reads them. Cage has such a distinct voice, he clearly sounds different from Yelchin, but his sincerity fits. So many of Yelchin’s famous costars and directors speak to Price for Love, Antosha. His personal friends get equal time but it’s clear that even the biggest A-list stars made time to talk about their friend. That’s a testament to the impact Yelchin had on K-Stew, J-Law, Chris Pine and most of the Enterprise crew, J.J. Abrams, John Cho, Anthony Hopkins, Bryce Dallas Howard, Ben Foster, etc. I would have guessed the costars who did not give interviews were legitimately busy but regretful they couldn’t participate. I learned from Price and Doremus that for people like Felicity Jones and Jeremy Saulnier, it was just too emotional and raw still. That makes their absence even more touching, frankly, and I respect that. Reflections on his death by some of his costars reflect poignant mourning and grieving too. I never even knew Yelchin was battling cystic fibrosis this whole time. He would do breathing exercises for hours before his call time. A few of the clips reveal him coughing in between takes. He just made it work for the films, and his band The Hammerheads and his edgy photography. I got to see Yelchin’s naughty side in some interviews and Love, Antosha touches on that. He was so endearing, he pulled it off. There are so many examples of Yelchin’s work in Love, Antosha, I hope it encourages people to check out some of his lesser known films. He was quite prolific, so if you only know Star Trek, or even if you know his more prominent indies like Green Room and Like Crazy, Yelchin left behind many more great works to discover. I highly recommend Rudderless myself.